The Advisory Council to the master’s degree program in global strategic communication is comprised of people who broadly represent the demographics of the profession globally. Members are leaders from a wide range of communication careers in business and government as well as in recognized non-governmental organizations operating in the United States and key markets globally. Council members have unique access and insight into business, social and political communities. Marcia Bullard is a media executive based in Washington, D.C. She is the retired president and CEO of the national magazine, USA WEEKEND, with a readership of 50 million. She was a founding editor of USA TODAY and has 36 years of experience as a CEO, publisher, editor and reporter in national and local media. She serves as chairman of the board of America’s Charities, and is a director on nonprofit boards including the Fund for Investigative Journalism, the Southern Illinois University Foundation, and the Heart of America Foundation. She tutors students in literacy and math, serves on the Dean’s Media Industry Council at SIU, and is a member of the American Society of News Editors. Marcia is the founder of Make a Difference Day, the nation’s largest day of volunteering since 1992. Today, more than three million Americans participate every year in a day of volunteer service on the fourth Saturday of October; the program is led by Gannett and supported by nonprofits nationwide including the Points of Light and Newman’s Own Foundation. As an executive with Gannett, she served as editor, then president and CEO of USA WEEKEND when it achieved record profitability and circulation, expanding to more than 600 newspapers, including the New York Daily News, Denver Post and Los Angeles Daily News. She twice received Gannett’s top award for executives, the President’s Ring. Marcia holds an M.B.A. from The George Washington University and a bachelor’s degree in journalism from Southern Illinois University. Marcia was honored with the 2013 Business Gives Back Award at The George Washington University, the President’s Volunteer Service Award in 2005, and was named Revlon Business Woman of the Year in 1998. She twice served as a judge for the Miss America contest. She began in the news business at age 17 as a reporter with the State Journal-Register in Springfield, Illinois, and later became a reporter and editor at the Rochester, New York, publication Democrat & Chronicle. She taught journalism as an assistant professor at the University of Rochester, New York. Jerri Fuller Dickseski is corporate vice president of communications for Huntington Ingalls Industries, America’s largest military shipbuilding company and a provider of manufacturing, engineering and management services to the nuclear energy, oil and gas markets. Dickseski is responsible for the company’s communication strategy and execution, encompassing all external communications, media relations, advertising, executive communications, enterprise employee communication, crisis communication, corporate special events, Web and social media, and branding/corporate image. Prior to this position and since 2008, she served as sector vice president of communications for Northrop Grumman Shipbuilding. 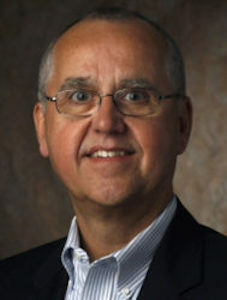 Dickseski joined Newport News Shipbuilding in 1991 as editor for an internal publication. Since then, she has held positions of increasing responsibility in both internal and external communications. In 1999, she was promoted to director of communications for Newport News Shipbuilding, where she led communications activities and served as chief spokesperson. 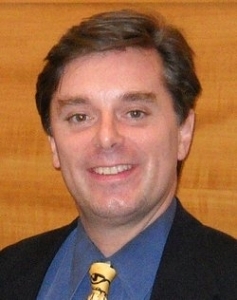 Dickseski earned bachelor’s and master’s degrees in English from Old Dominion University. She serves on the board of trustees for the Old Dominion University Educational Foundation and is a member of the board of trustees for the Virginia Living Museum. She is also a member of the Public Relations Society of America and the International Association of Business Communicators. Robert Grupp is director of the master of arts in mass communication graduate program in global strategic communication at University of Florida College of Journalism and Communications. Grupp is president at Grupp Global Partners LLC, a management consultancy with a strategic focus on corporate communication and international public relations. Previously, Grupp was president and CEO of The Institute for Public Relations. He served on the board of trustees of this nonprofit for eight years. Grupp is active in higher education and serves on the public relations advisory council for the Fulbright Scholar Program of the United States Department of State, administered by the Institute of International Education. He also serves on the advisory board for the biannual International Public Relations Summit in Indonesia, and is a long-time advisor to the China International Public Relations Association in Beijing. For three decades, Grupp led communication teams and managed public affairs in corporations, multinational organizations and nonprofit institutions. From 2001-2008, Grupp served as vice president of corporate and public affairs at Cephalon, Inc., an international biopharmaceutical company. Grupp held leadership positions in corporate communication at Eli Lilly and Company, Dow Corning Corporation and Consumers Energy. Grupp chairs annual summits on strategic communications in Washington, D.C. and London. These popular conferences focus on best practices in corporate, military and government communication and public affairs. Grupp travels extensively throughout the world lecturing on global strategic communication, public diplomacy and public relations strategy and practice. Earlier in his career, he served as editor for daily newspapers in Florida and Illinois, and he received the prestigious National Headliner Award for excellence in journalism. Grupp received his bachelor’s degree in journalism from Southern Illinois University. He is an accredited member and past chapter president in the Public Relations Society of America and is a member of the Arthur W. Page Society. 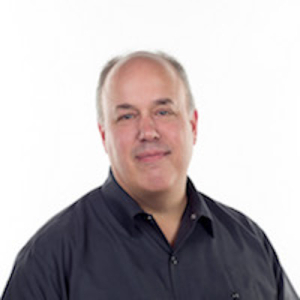 Bob Pearson has a unique combination of social media, marketing and communication skills acquired during nearly 25 years at three Fortune 500 companies and a major consultancy. He was vice president of communities and conversations at Dell Inc., where he was responsible for developing an industry-leading approach to the use of social media. His team built and maintained 25 blogs, forums and wikis in seven languages worldwide with 200 million page views of annual interaction, and coordinated the company’s approach in Twitter, Facebook and other key sites. Before joining Dell, Bob worked for Novartis Pharmaceuticals as head of global corporate communications and as head of global pharma communications, where he served on the Pharma Executive Committee. Prior to Novartis, Bob was president of The Americas for GCI and was responsible for creating and building the firm’s global health care practice. He was previously vice president of global public affairs and media relations at Rhone-Poulenc Rorer (now Sanofi Aventis) and worked at Ciba-Geigy in both communications and field sales. 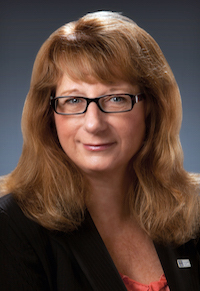 Carol Harrison is a founding senior partner at Global Gateway Advisors. She has 16 years of experience in developing and executing global communication programs related to public health and the healthcare industry. She has supported programs on behalf of global pharmaceutical companies, biotechnology startups, public health and scientific nonprofits and food and nutrition corporations. She advises clients on organizational and brand positioning, stakeholder engagement, scientific communication, advocacy relations, crisis and issues management, sales force and employee communication and media relations. She has worked on programs across Asia and the Americas. Carol’s client experience includes Abbott, BASF, the Biotechnology Industry Organization, Capsugel, Inc., CV Therapeutics, Inc. (now Gilead), Guidant, Living Cities, Ludwig Institute for Cancer Research, MedImmune (now the biologics division of Astra Zeneca), UCB, TAP Pharmaceuticals (now Takeda) and the Obesity Society. She has worked across a variety of therapeutic categories including cardiovascular disease, endocrinology (thyroid disease, obesity), infectious disease (HIV/AIDS, seasonal and pandemic influenza), immunology and oncology. Prior to joining Global Gateway Advisors, Carol was senior vice president and partner at Fleishman-Hillard, an international communication agency. She also spent several years on Capitol Hill developing and promoting legislative agenda’s related to health care and defense policy, as well as guiding constituent companies through the complex appropriation process. Carol is the chair of the board of directors for The Brownstone School, a nonprofit preschool in New York City. 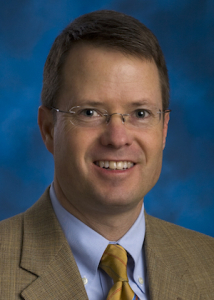 Robert T. Hastings, Jr., was named senior vice president, communications and government affairs and chief of staff for Bell Helicopter in May 2010. He leads the company’s internal and external communications, marketing communications, branding, corporate giving, and community and public affairs. Hastings joined Bell Helicopter from Northrop Grumman where he served as vice president of communications for Northrop Grumman’s information systems sector. Prior to his tenure at Northrop Grumman, he served in the Bush Administration as acting Assistant Secretary of Defense for Public Affairs. As the senior public affairs official and spokesman for the U.S. Department of Defense, he was the principal staff advisor to the Secretary of Defense and senior administration officials for strategic communication, public information, internal information, and community relations leading a worldwide public affairs community of 3,800 military and civilian personnel. Before joining the Defense Department, he served as chief of staff and as vice president of communications for BAE Systems, Inc. where he directed comprehensive strategic communications and public affairs programs for the $15B U.S.-led segment of the global defense company. Hastings is a retired U.S. Army officer with more than 20 years’ experience as a Master Army Aviator and Public Affairs Officer. In 2009, he was awarded the Department of Defense Distinguished Public Service Medal. He was honored by the University of Maryland University College as its 2010 Distinguished Alumni and by the Public Relations Society of America with the 2010 Lloyd B. Dennis Distinguished Leadership Award. Additionally, he earned PRSA’s Silver Anvil Award of Excellence and IABC’s Gold Quill Award for Excellence in Communications Management. Hastings is a licensed commercial pilot with a broad range of experience and ratings in both military and civilian aircraft. He earned a Bachelor of Science in government studies from the University of Maryland and has completed executive studies at the Wharton School of Business and the University of Michigan. Jim Holtje is a speechwriter at IBM for CEO Ginni Rometty. He also serves as an adjunct professor at NYU’s School of Professional Studies in the graduate program for public relations and corporate communication. Previously, he served as a CEO speechwriter at Siemens AG in Germany and the United States, as well as the CEO speechwriter at The McGraw-Hill Companies in New York City. He also served as the speechwriter to the head of emerging payments at MasterCard International. 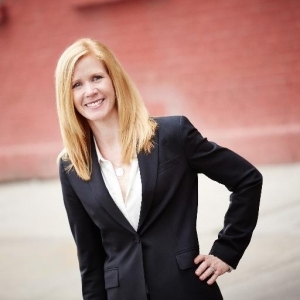 Holtje’s public relations agency and consulting experience includes work at Brouillard Communications, Cohn & Wolfe, and Crossover Communications for Deloitte Touche Tohmatsu, Eli Lilly, Chrysler, DaimlerChrysler, Deutsche Post, and Wal-Mart. Jim has published six books, including The Power of Storytelling for Penguin/Prentice-Hall. He is a member of International Association of Business Communicators, the Professional Speechwriters Association and the New York Speechwriters Roundtable. Holtje earned a Master of Art in international political economy from Columbia University’s School of International and Public Affairs as well as a Bachelor of Arts in political science and German from New York University’s Washington Square and University College. Rich Kylberg serves as the senior-most corporate marketing and communication executive for Arrow Electronics (Fortune 133, Symbol: ARW), reporting directly to the CEO. His spheres of influence include global branding, creative services, Intranet/Internet, internal communications, business analytics, media/public relations, events, financial communication, government relations, and corporate social responsibility. Prior to joining Arrow at the end of 2010, Rich spent 20 entrepreneurial years as president of CCA, Inc, managing an owned and operated group of radio stations around the United States. He is a five-time Ironman finisher, and was a qualifying member of Team USA for long course triathlon. 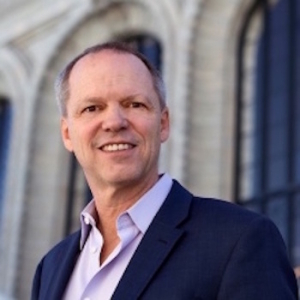 He has served on over 15 not-for-profit boards; currently the Colorado Symphony Orchestra, the Metro Denver Chamber of Commerce, and the Colorado Office of Economic Development IT Advisory Council. Rich holds a Bachelor of Arts from Stanford University, where he double-majored in English and communication. He also holds a master of business administration from Harvard Business School. Chris Talley is vice president of corporate communications for USAA. He oversees the association’s external and internal communications, reputation, issues, and influencer management. His team also sets all-audience communication strategy and messaging. In addition, he leads CEO communication for USAA’s 12th CEO, Stuart Parker. Previously, Chris was responsible for USAA’s brand, communication strategy and content team, which is responsible for activating and governing USAA’s brand consistently and cohesively across every member touch point. Earlier in his career, he led USAA’s external communication team, which includes reputation management, consumer and military media relations, social media, public affairs leadership, and advocacy initiatives. Talley joined USAA in July 2008 from FleishmanHillard. During his 13 years at FleishmanHillard, he planned, managed and executed numerous corporate issues and communication programs for a wide range of Fortune 500 clients. He also served as general manager of FleishmanHillard offices in Austin, Houston and San Antonio. He previously worked at Houston’s Churchill Group, Inc. and for five years in the public affairs department of Lockheed Martin Space Systems in Denver. 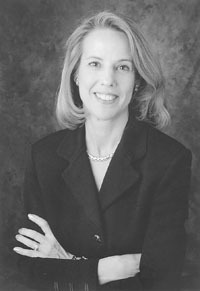 Talley holds a bachelor’s degree in journalism from Baylor University and an MBA from the Colorado campus of the University of Phoenix. 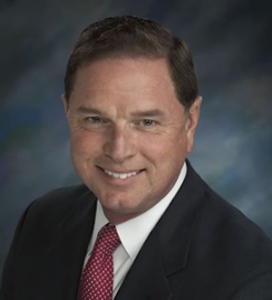 He serves on the board of the Alamo Area Council for Boy Scouts and on the Page Up Operating Committee, the leadership entity that oversees the work of the Arthur W. Page Society’s Page Up membership organization. He previously served on the boards of KRLN-PBS TV, Sunshine Cottage for the Deaf and Texas Public Relations Association. 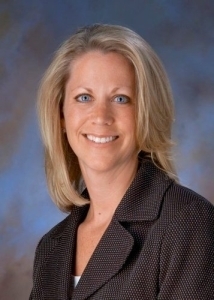 Jennifer Whitlow is senior vice president of communications for Lockheed Martin Corporation. In her role, Jennifer leads the corporation’s media relations, management and employee communication, marketing communication and community relations strategies and functions. In addition, she directs issues management and crisis communication, and leads philanthropy initiatives that enhance the corporation’s reputation as a good corporate citizen. Jennifer also integrates communication across the five business areas and ensures coordination and consistency with the corporation’s business strategies. Prior, Jennifer was vice president, corporate communications and vice president, worldwide media relations for Lockheed Martin. Jennifer joined Lockheed Martin in May 2010, from United Technologies Corporation (UTC) where she was responsible for media relations, marketing communication and philanthropy as director of external communications. Previously, she served in the same role for UTC’s Pratt & Whitney unit. Jennifer has also held leadership positions with subsidiaries of The Boeing Company and Cessna Aircraft Company. She began her career with the National Air Transportation Association as a specialist in government and industry affairs. She holds a Master in Business Administration from Carnegie Mellon University’s Tepper School of Business and a Bachelor of Science in aviation business administration and aviation safety from Embry-Riddle Aeronautical University.